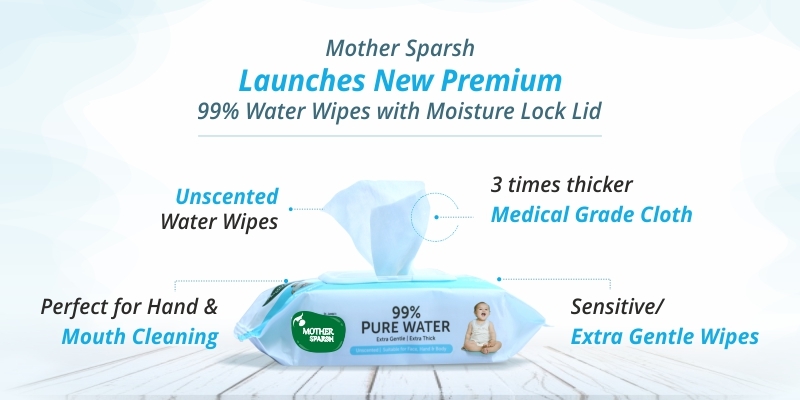 Great launch by Mother Sparsh Unscented 99% Water-Based Baby Wipes. Mother Sparsh is an innovative brand created while keeping in mind both the well-being of babies and the environment. 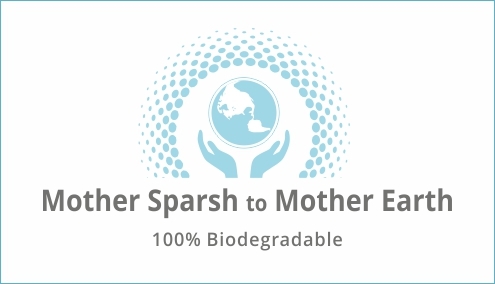 Mother Sparsh baby wipes are India’s first eco-friendly water-based wipes which are made of natural plant-based fiber. Mother Sparsh, India's leading wipes brand unveiled its new premium 99% water based Baby Wipes featuring medical grade cloth. No doubt baby is born with sensitive skin. Sometimes it is seen that baby skin tends to get allergic to the regular baby products as they have a presence of scent, perfumes, petrochemicals & polyester based fabric. These products lead to rashes, redness, and allergy in babies. Keeping everything in concern, Mother Sparsh has made extra gentle baby wipes keeping scent/perfume away from its super mild formulation. In market there are lots of brands available and all brands offer different scented variants for baby wipes. But according to my experience most babies have sensitive skin and they cannot handle even mildest of scent on their skin. I personally always go for #UnscentedBabyWipes. The newly introduced baby wipes by Mother Sparsh that are fragrance-free are definitely the best for all the babies whose skin is prone to diaper rashes or skin allergies. These unscentedpurewipes are specially designed for newborns and infants with sensitive skin and also meant to clean the hands and mouths of children. Mother Sparsh has formulated the fabric used in wipes with only natural and organic contents which makes it 100% biodegradable. The use of water as a secure, soft and a sound cleansing agent is not only an age old practice but has even been medically proved. The wipes are dermatologically tested and clinically examined for infections and rashes. I am sure all moms who have already used these #ExtraGentleWipes would validate for the efficacy of it's #MedicalGradeFabric. The wipe’s unscented and extra thick super soft fabric is derived from plants and their pulp thus making them three times thicker than the usual baby wipes. Every moms wants the best baby wipes for there babies but at they same time they also want wipes to be smaller in size or are thinner than expected. Surely all.the mommies of this age are very lucky that they have got Mother Sparsh #PremiumBabyWipes which are 3x thicker than ordinary wipes . The #SuperThickWaterWipesavoid your hands to get dirty while cleaning your baby's bottom. Every mom always uses the best products for their babies and even keepsall the products safely. Normally all disposable wipes come in a plastic pouch with a sticker opening on the top. But as time passes the sticker loses its ability to stay stuck and we feel sorry to find wipes whose moisture is evaporated. Hence Mother Sparsh has come up with a solution that in it's new wipes package is to provide a moisture-lock plastic lid that seals the goodness inside till the end. The brand offers a pack of 72 wipes at very reasonable price of 299/- each.The wipes are also available online on Amazon, Flipkart and Firstcry. These water based, cottony soft wipes are not only skin-safe but are environment safe also. Since Mother Sparsh Baby Water Wet Wipes are biodegradable that is why it is Eco-friendly. So Moms, what is all the wait about? Switch to Mother Sparsh wipes today!